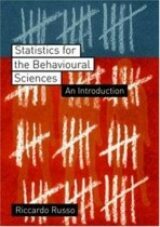 Why is statistics useful in the behavioural sciences? To say the least, it is quite common that a large number of students starting an undergraduate degree in psychology are not enthusiastic about having to study statistics and research methodology. It is highly possible that this lack of enthusiasm originates, at least in part, from the unappreciation of the relevance that statistics plays in the scientific understanding of human behaviour. 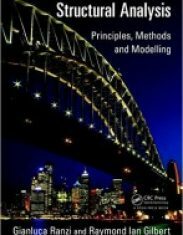 The aim of this introduction is to provide a convincing argument, using a simple example, as to why some statistical knowledge is useful to students in the behavioural sciences. While revising for the end of year exams a university student notices that the material is better remembered when some classical music is played in the background, while less information seems retained when no background music is played. This observation is used by this student as a basis to support their theory that listening to classical music while studying facilitates the memorisation of the exam material, and as a consequence they suggest their classmates use the same strategy when revising. If you were one of the classmates would you be so impressed by your friend’s theory that you would follow their suggestion? Probably not, but why not? One objection that could be raised is that classical music may work for your friend, but its effect may not generalise to other people. After all, not everybody likes classical music; so there is the possibility that some students may find this music interferes with their studying. Therefore, in order to see if the effect of listening to classical music on memory for exam material is not specific to your friend, a relatively large number of students should be tested. A second objection refers to the way in which the zassessment of the two methods of study was made. 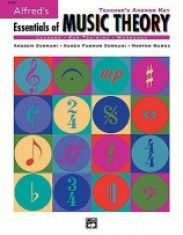 More precisely what kind of evidence was used to claim that the music method led to better retention than the no music method? It is likely that your classmate had a feeling that they remembered more information after listening to classical music, but no formal assessment was made. However, it would be appropriate to have a more accurate way of measuring the amount of information retained under the two study conditions. Basically, it is important to obtain some sort of measurement of the phenomenon under investigation. Overall it appears that the theory suggesting that listening to classical music while studying helps memorisation could potentially be correct, but the types of evidence used to support this theory are not compelling. Hence, more people should be tested, and a clear way to measure the amount of information retained is to assess if the effect of listening to classical music while studying leads to an increment in the amount of information memorised compared to a condition where no music is played. Thus, let us imagine implementing a study to provide a better evaluation of what we could name the “classical music theory”. As remarked above, to have a clearer assessment of the effect of classical music on memory for exam material, we will need to test a sizeable number of people (how large this number should be is discussed in Chapter 13). At this point a further decision needs to be made. Should the same group of people be tested in both study conditions (i.e., with and without exposure to classical music)? Or should two different groups of people be used so that, within each group, subjects are tested in only one of the two conditions? 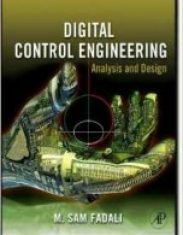 These two approaches have both advantages and disadvantages that will be discussed later in the book. For the moment, and without questioning why, we use the second approach. Therefore one group of students will be given some material to study for a given amount of time during which classical music will be played in the background. A second group will receive the same material to be studied in the same amount of time, but no music will be played in the background. If classical music is beneficial we should find that the group exposed to classical music will retain more information than the group not exposed to music while studying.